Elevator and Escalator Accidents: who are the victims? In 2017 24,890 people who suffered personal injury in an escalator or elevator accident were treated in American hospitals, compared to 25,951 in 2016 and 19,005 in 2007. The number of elevator accident injuries has been on the rise over the last 10 years in the US. Fatalities related to elevator and escalator accidents are less common and occur mostly on construction sites. 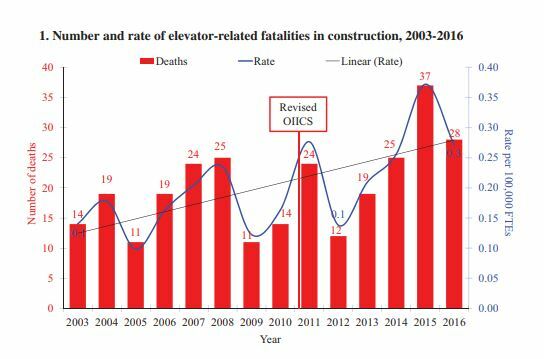 According to the Quarterly Report recently published by the Center for Construction Research and Training (CPWR) 28 workers died in elevator accidents on construction sites in 2016 compared to 14 in 2003. The number of workers dying in elevator accidents has been on a rising trend since 2003 with a peak at 37 in 2015. The workers who are the most at risk of dying in an elevator accidents are those who are constructing, assembling or dismantling elevators. They represent 40% of the elevator accidents fatalities in construction. Workers who are operating heavy equipment and workers in charge of the repair and the maintenance are also at risk of dying in elevator accidents. They both represent 20% of the elevator accident fatalities suffered by construction workers. 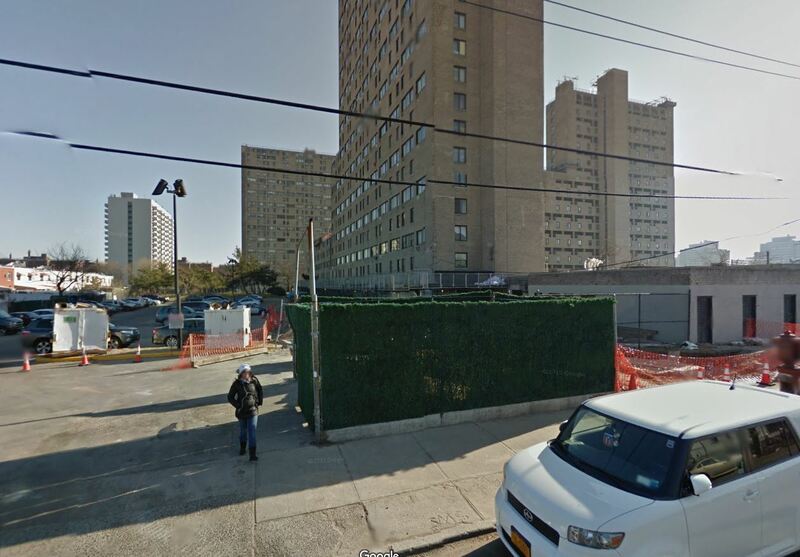 On the Christmas Eve of 2015 around 4:00 pm, 84 year old Olegario Pabon stepped in his elevator at a Bronx NYCHA development in New York City. As he was getting inside, the elevator zoomed upward trapping the man’s leg and hand and then dropping him on his head. He died from his injuries. The deadly elevator accident was preventable. An hour and half earlier a concerned tenant of the building had called in a complaint saying “the lift is going up and down by itself with its door open and when the door closed it slams really hard”. Nobody did anything about it it and no inspector was sent to check it out. This act of gross negligence killed Olegario Pabon. The DOI investigation following the death of Olegario Pabon found out that the brake monitor had been disabled. According to the DOI report, it seemed like a NYCHA elevator mechanic had clipped the wires on the device and closed off the electrical connection by covering it with black electrical tape. The NYC Department of Buildings just released the “Elevator Report 2017”. 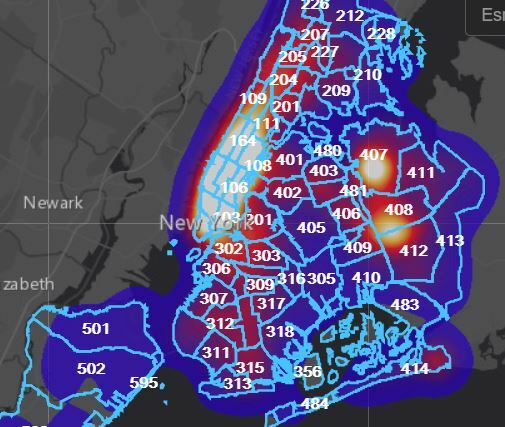 Presented in a very fancy way on the DOB website with interactive map and historic references the report provides a good overview of the extent of the elevator inventory in the city but unfortunately provides too little information about elevator accidents in New York and Elevator safety. In the report, we learn that the first elevator was installed 168 years ago in New York and that the elevator stock of the city represents 9% of the national stock. More than 84,000 devices are under the jurisdiction of the DOB and the Department performed more than 196,000 inspections in 2017. Building owners are required by law to have their elevator or elevators inspected twice a year. Additionally an in-depth inspection that includes load test has to be performed every five years. Tests reports have to be submitted to the DOB. Failure to submit these tests results will lead to penalties. When owners fail to proprely maintain their elevators and inspectors detect defects, owners are issued “failure to maintain” violations. 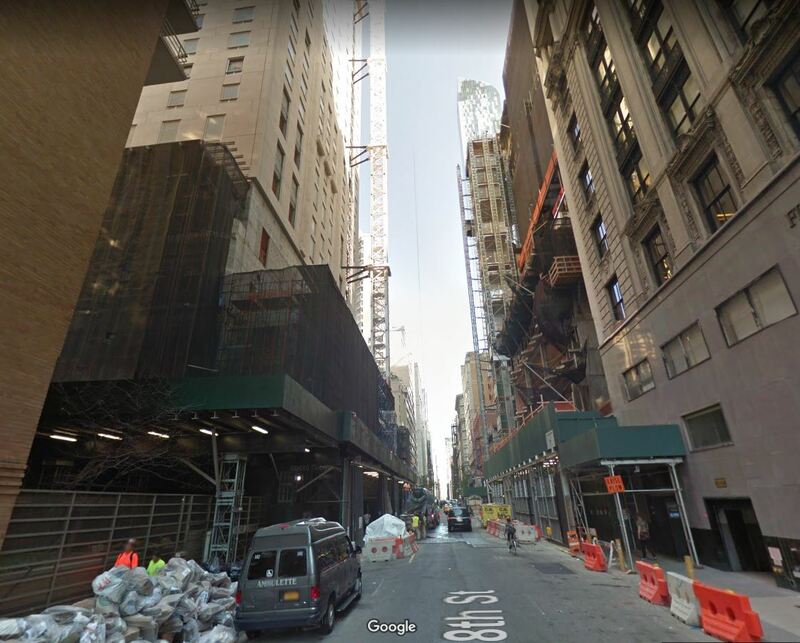 A construction worker was found dead in an elevator on a New York construction site on Sunday morning. The man was identified as 53-year-old Stephen Simpson, a native of Jamaica who previously served in the army and was currently working for Patriot Electric. The last time Simpson was seen alive was last Saturday afternoon at 3:00 pm. Simpson had just finished his shift at a construction site at 555 Ten, a 56-story Manhattan luxury condominium building located at West 41st Street and 10th Avenue. As he was about to leave the site with his co-workers he told them that he forgot some personal effects and had to go back inside to retrieve them. That’s the last time he was seen alive. A security guard found his body at 7:00 am on Sunday. His head was trapped between the elevator floor and the elevator door frame of the 5th floor. Investigators believe that Simpson used the elevator and that while he was riding it, the building power was shut off by the crew leaving the site. Simpson got stuck inside the elevator. It is unclear why Simpson didn’t use his cell phone to call for help. Instead, he forced the elevator doors open. However as he was climbing out of the elevator, the cabin moved upward and crushed him against the door frame. Investigators don’t know yet if he died immediately as his body was only found the following morning. His body is now at the City medical examiner’s office where they will determine the time and cause of the death. Stephen Simpson was married to Crystal Simpson and they were supposed to celebrate their son’s birthday. He was supposed to take his son and his wife to the store to buy a bicycle for his son. Stephen and Crystal were married for 10 years. His wife told the News “He loved our son to death and he’d get him anything, he’d do anything for him”. It’s a miracle nobody was injured in a construction accident that occurred yesterday around noon on 58th street near Columbus Circle. Construction workers were moving material in an exterior elevator when it got jammed on the 17th floor. 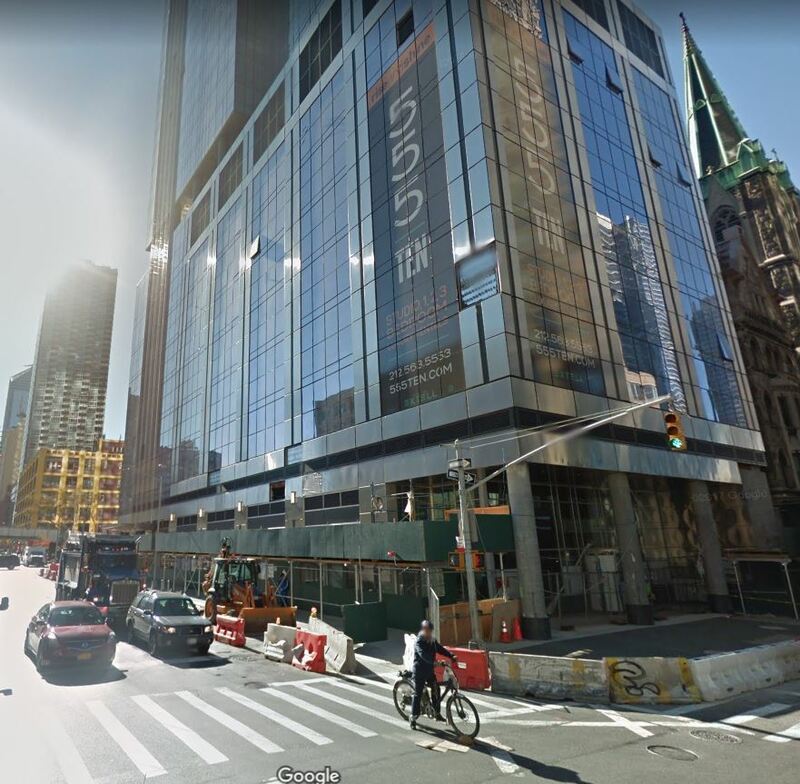 A large and heavy metallic ramp that connected the elevator to the building fell busy 58th street, prompting pedestrians to run for cover. The elevator contained a crate packed with 2 tons of glass window panels. After the metallic ramp gave way, the crate was partially in the elevator and partially dangling outside creating a major danger for cars and pedestrians below. The street had to be closed for several hours until the FDNY could figure out how to safely remove the heavy load of glass from its unsafe location. The construction site is located at 217 W57th Street. It is the site of the Central Park Tower a super tall building being developed by Extell. This project is expected to be the largest sellout ever in City history with 20 of the condos priced over 60 million per unit. 246 Johnson Ave is located at the corner of Bushwick Place near the Montrose L stop. In 2014 it was a one-story building that was bought by developer Moshe Silberstein. A residential building is now being constructed at this location. 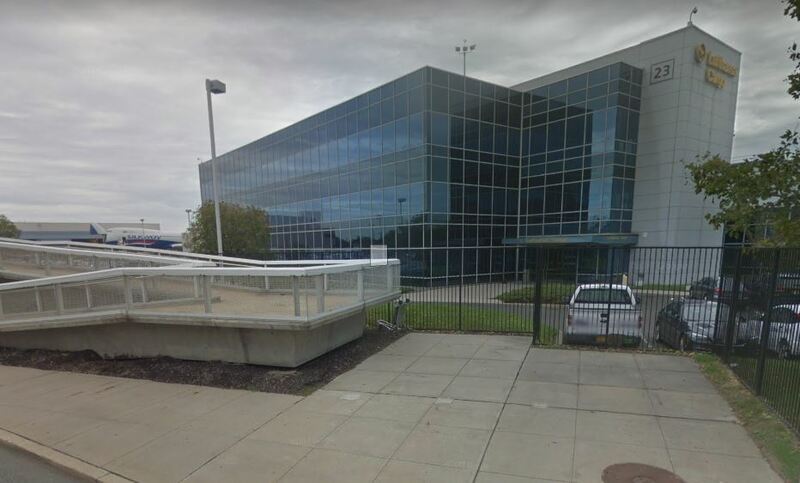 See below a picture of the building from Google map before development. A baby girl died in an elevator accident in New York City on Thursday. Her mother was also injured in the accident. She was expected to survive. Last Thursday around 10:30 am, 21 year old Aber Al-Rabahi put her 6 month old daughter Areej Ali in her stroller and headed out of her apartment for a walk. Aber Al-Rabahi and her daughter called the elevator on the 23rd floor of of the Sea Rise, a residential building located at 3415 Neptune Avenue, in Coney Island, Brooklyn. As the elevator doors opened, the mother pushed the stroller inside and walked in without realizing that the car was stuck 6 feet below. The mother landed on the top of her daughter on the roof of the elevator. The elevator fell down eight stories where the the mom and her daughter landed on the roof. A maintenance worker who heard the mother screaming ran to the rescue. The mother and the infant were both transported to the hospital. The infant was pronounced dead on arrival at the hospital. The mother is expected to survive. Neighbors told the NY Daily News that both elevators in the building were constantly having problems. On Wednesday night tenants complained that the elevator was not functioning proprely. A mechanic from Centennial Elevator Co. had arrived an hour before the accident. He was working on the elevator when the accident happened. Centennial Elevator has two open OSHA investigations . One of them is related to one of their employees who lost an arm while repairing an elevator in New York City last May (see previous blog). According to the Gothamist, this is the second time that someone was killed in an elevator accident at the Sea Rise Complex. In 1991, Chandler Johnson bumped into the door of the same elevator. The door opened and Chandler fell to his death down the shaft. Since the young man died, there were 147 elevator violations in the building. A man died in a New York elevator accident on Saturday. 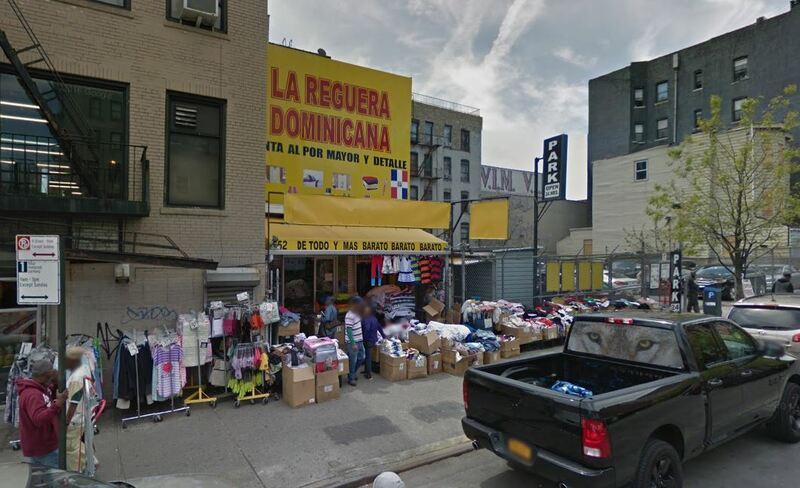 Jose Fernandez, 43 from the Dominican Republic was a worker at the Discount Store La Reguera Dominicana on 182nd Street in Manhattan. The man was loading merchandise into the freight elevator in the basement when the accident happened. For some unknown reason, the freight elevator suddenly moved up and trapped his head. The Department of Buildings is investigating the cause of the accident. The online property profile overview of the NYC Department of Buildings has no record for the elevator. The freight elevator which had no doors was installed illegally a year ago, without a permit when a previous auto repair shop was turned into a discount store. The building has an open violation for illegal occupancy and last year 3 complaints were opened accusing the building owner of performing renovations without a valid work permit.